A hive of bees can prove to be a productive addition on any farm or smallholding, yielding honey for the kitchen while increasing crop yields and quality. Farmers Guardian reports. Honey bees are an insect which spark passion and pride in the people who keep them, and they also play a pivotal role in the pollination of crops across the country. But they are not just financially valuable, they are hugely beneficial to smallholders and gardeners because of their ability to improve the quality of their produce, often resulting in better shaped fruits and greater crops. Ivor Davis, public affairs spokesman for the British Beekeepers Association (BBKA), says: “An old farmer friend of mine explained to me many years ago that he used to grow field beans and found the crop was generally poor and misshapen. And people do not keep honey bees just to improve the produce in their smallholdings or gardens. He says: “Honey bees also provide a crop of honey which can be another source of income or just used to delight family and friends. While there is no doubt honey production is something to be enjoyed, the most common question BBKA is asked is how to start keeping bees and where to begin. “It is not appropriate to find a swarm of bees, put it into a box and hope for the best,” explains Ivor. “A colony of bees is a collection of wild animals which cannot be tamed, so we have to understand their ways and work with them for their own and our benefit. You will find some people who say all they need is a box to live in and they will be fine, which is not true. “In the past, colonies in the wild usually only survived for three years before pests and diseases killed them off and since man has taken our honey bees around the world – the European honey bee (Apis mellifera), originally from Africa has been exported to America [both North and South], Australasia and Asia, because it is such a good honey producer. But pests and disease of other honey bee species have now transferred to our honey bees which cannot cope with the stress. The best way to discover the benefits of beekeeping is to sign up to a local beginners’ course. These are run by groups of enthusiastic beekeepers who are members of the BBKA or national equivalents such as the Scottish Beekeepers Association, Welsh Beekeepers Association and Ulster Beekeepers Association. There are well over 300 groups across the country who see their role as improving the understanding of beekeeping and helping others to get involved. They tend to run standardised courses to ensure potential new beekeepers learn the basic theory of beekeeping before actually handling bees. Following the theory part of the course, which usually consists of weekly sessions over 10 weeks, the groups are taken to a local apiary where they can experience working with live bees. Bee suits and protective clothing are provided. “At this point, a few realise beekeeping is not for them when the bees start to fly, but the vast majority are truly fascinated by the experience and cannot wait to start in earnest,” he adds. After the first visit, weekly sessions at the apiary are organised so people can exercise their practical skills and put the theory they have learnt into practice. He says: “During the summer months, the new beekeepers will have gained enough experience to get their first hive and colony of bees. Later in the year they will move their hive from the collective apiary to somewhere more convenient. “The local group will help you to find the best place to site your hive, or hives, and how to avoid any nuisance to you and your neighbours. “At this stage, the support given by the local group changes from weekly presence at a collective apiary, to assigning a mentor who will be available to answer questions and give advice when necessary. 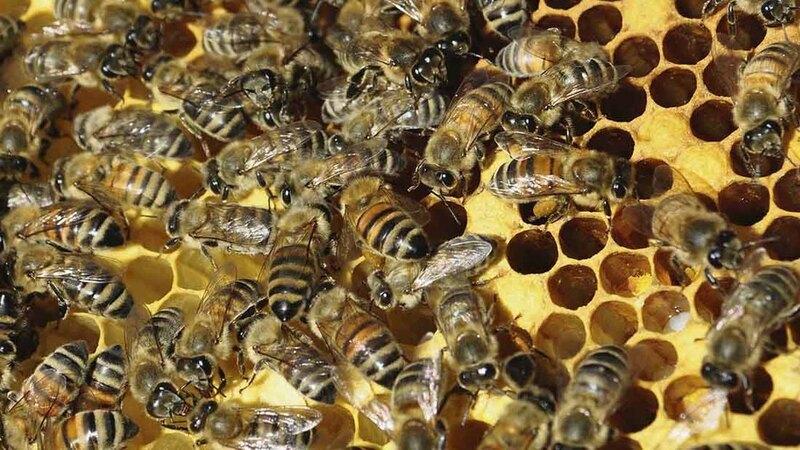 A swarm may be offered to a prospective beekeeper but bees from an unknown source can sometimes be diseased, or, possibly worst of all for a new beekeeper, it may be a very defensive colony, making beekeeping a trial. 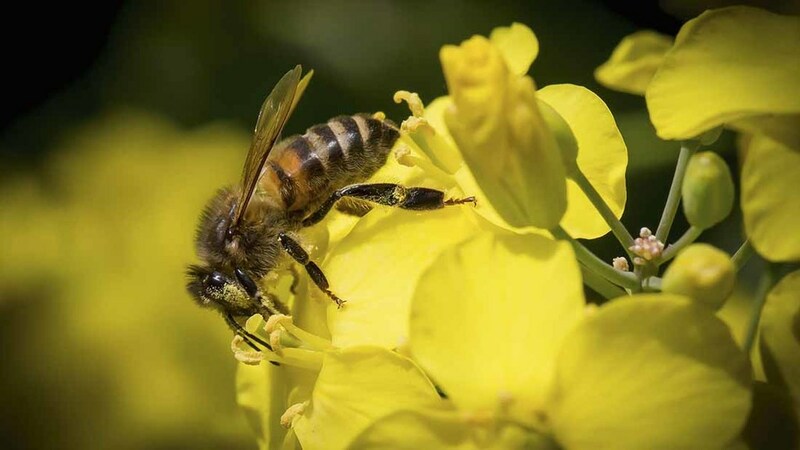 Experiments across Europe have shown local bees are better than foreign imports. For example, bees from Devon will do better there than bees from East Anglia. Again, the association advises to take advice from your local group and get some bees from a local source which are known to do well and are docile. Once established there will be work to do each week, particularly in summer, but this should take no longer than 30 to 40 minutes, even with two to three hives. There will be more to learn but many people find the life of a honey bee is fascinating. There are courses, study groups, lectures, ‘away weekends’ and examinations to help you to become a Master Beekeeper and beyond should you wish. For more information on bees and beekeeping contact the BBKA www.britishbeekeepers.com who will be able to direct you to a local group in your area. During the first year, a big decision needs to be made about what equipment should be bought for your new hobby. Ivor says: “Top of the essential list is a bee suit which must be comfortable and stop the bees landing on your skin. “Normally when bees land on you they are very placid and will fly off once rested, however, when you are inspecting a colony you will disturb their nest and naturally, the bees will want to defend it and their stock of larvae and food. In such cases the bees can get very defensive and may sting you. “For most people the sting is a bit like a pinprick, but occasionally people react badly to stings and end up with a large swelling. The next purchases are a hive tool used to separate hive components when inspecting the bees and a smoker used to calm the bees and move them away from the sides of the hive so they do not get crushed. Possibly the most expensive items will be the hive to contain the bees and the colony of bees to put in the hive. The best advice here is to talk to your local group because there are so many different hive designs and variations. It is always better to use the same type as is common in your area.